It’s the rare family that isn’t struck by cancer. 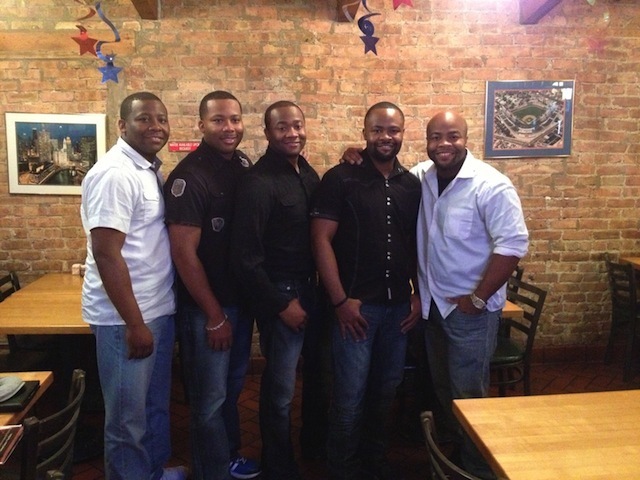 Count the popular gospel group The Wardlaw Brothers (TWB) among those that have seen the disease strike close to home. Now, the Wardlaws are dong what they do best in their mission to spread hope and to assist those who are suffering, as well as to celebrate the lives of cancer survivors: they’re singing it out. The Wardlaws have written and released a special song, “We Will Survive,” and designed a portion of the proceeds from its sale to go to two George-based foundations. The single is available only on iTunes. TWB has partnered with The Nick Eason Foundation and The Pretty In Pank Foundation, which are on the same mission, to offer support to those affected by this disease. TWB is requesting that everyone partner with them in support of this effort by not only downloading the single, but by watching and sharing the companion video (below). Poignant and inspiring, the video for “We Will Survive” features friends and family, as well as cancer survivors, those currently fighting cancer and some that succumbed to the disease. Founded in January of 2012, The Nick Eason Foundation assists families with loved ones fighting cancer. Eason is a native of Lyons, GA, who played football for Clemson and went on to play in the NFL for the Denver Broncos, the 2009 Super Bowl Champion Pittsburgh Steelers, and the Arizona Cardinals. The Foundation helps families financially as well as spiritually and emotionally to relieve some of the immense pressure that comes with managing such a critical family time. The inspiration for The Nick Eason Foundation comes from Nick’s own experience losing his mother to breast cancer in 2012. He also lost his uncle to cancer, and has lost other friends to the illness over the past few years. Through his experiences, he realized that many families cannot manage the struggle alone, whether from the financial or emotional stresses the consistently arise. The Pretty in Pank Foundation (PIP) was established in Georgia in 2007 by three friends–Ann Owens, Jill Murphy, and Pete Frost–whose families had each been greatly affected by breast cancer. Jill’s mother had lost her battle, whereas Ann’s niece and Pete’s mother had recently been diagnosed.